Stone Tile Group is Central Florida's trusted source for European stone and tile. We have established ourselves by creating relationships with retailers, builders, developers, designers, architects, installers, and home owners. Our product line includes porcelain and natural stone tile, pavers, coping, moldings, and mosaics in travertine, marble, limestone, and glass along with wood flooring. Our mission is to incubate lifelong relationships by providing the finest quality material, at attractive prices, backed by the highest level of customer service. 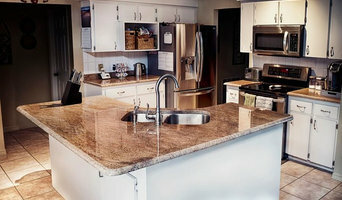 Granite Magician, Inc is 7 years experienced company. We work with any engineering and natural stones. Our team made happy thousands of customers for that period. Our goal is make happy each of our customer. We'll bring magic to your house!!! Hello! My name is Albert Guillemette, owner of Unique Stone and Tile, we have been doing business in Central Florida since 1997. From the moment you walk in the door of our showroom you can expect to be greeted warmly, educated about our products from around the world, and receive personal assistance in creating the desired look and beauty of your preference. As a small business owner, we have the knowledge and experience to assist you one-on-one to help you design the look that you want to achieve; whether it be a new floor, back splash, pool deck, outdoor kitchen, fireplace, new bathroom, new kitchen, etc. May it be interior or exterior applications, Unique Stone & Tile can do it all! Here we believe in romancing the stone or tile, where we take raw natural materials and transform it into sheer elegance and life-long resilience. Our extensive interior & exterior products consists of flooring tiles in different sizes and finishes, with a complete line of french patterns, porcelain tile, glass tile, ledger stone panels, glass and marble mosaics, fireplace mantels, chair & pencil moldings, borders, medallions, stunning murals on natural stone and many other complementary products from the industry. Alexander Morgan Tile and Stone Gallery specializes in the finest of natural stone & tile. We are located in the heart of Winter Park on 845 South Orlando Avenue. Hours of operation are Monday – Friday, 9:00 am – 5:00 pm. Although appointments are not required, we recommend so we can spend quality time with each individual customer. As the owner I personally oversee the measuring, manufacturing and installation of your custom Granite Kitchen and Bar countertops, Marble or Onyx vanity tops, bathtubs, shower floors, and shower wall panels. Edstone Inc offers superior quality products, exceptional attention to detail, and the utmost level of service and expertise. Our decades of experience and continued customer satisfaction speak for itself. We look forward to doing business with you for all of your remodeling or new construction needs. We have an excellent choice of materials and designs for kitchen and venituies countertops. Stone, quarried from the mountains of Brazil, India, Italy, China, and dozens of other countries around the world. 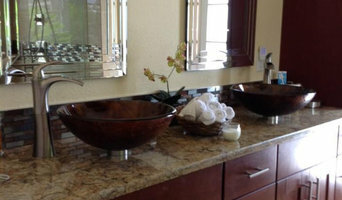 Custom maintains an inventory of Granite, Marble, Travertine and Onyx. United Stone Associates, Inc. has a proven record of excellence in designing and managing several building and construction projects in Orlando, FL. No matter the size of your project, the experienced professionals at United Stone Associates, Inc. will plan, design, construct, and maintain your project. You'll Be Glad You Chose Us Effective planning is crucial to the successful completion of any project. Before starting the project, our team of experts will first assess your goals. Then we provide you with an estimate and time-line for completion. From beginning to end you will be involved every step of the way. Cost-Effective Services Eliminate all the items on your to-do list by calling the experts at United Stone Associates, Inc.. You'll be glad you did. We have many years of experience and work hard to make sure the job is done right while saving you time, money, and aggravation. We'll be there whenever you need us. Call us today to get your project underway. 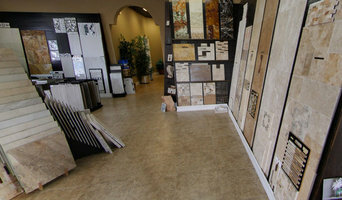 Palm Coast's Flooring Experts For Over 25 Years! DreamCrete Concrete Creations has built a reputation through the years on building durable and aesthetically beautiful concrete countertops, floors, sinks, water walls and backsplashes among other designs. It is our earnest endeavor to come up with business strategies that serve our clients and the ecosystem as well. We have spent years in mastering our craft and our highly skilled team of competent craftsmen, builders and other diligent employees work in tandem with this unique concept that we have forged. The founders of Dreamcrete ( Zach Dandera, Gary Millar & Bruce Powers ) have a combined 18 years of experience in contracting, customer service and management fundamentals to form a solid foundation for our business. Our core principles were founded on the belief that building long-lasting mutually beneficial relationships in both business and customer base are essential to success. Dreamcretes practice of constant research and development of current applications allows us to offer new and exciting products. Dreamcrete Custom Creations has completed training with The Concrete Countertop Institute and worked alongside wonderful artisans in the industry from different countries. Dreamcrete has trained and been certified in the processes of innovative materials supplied by Elastocrete. DreamCrete completed training by world renowned designer and decorative concrete pioneer Bryan Gauthier of Something Better Corporation in Arizona on Award Winning Sinks and Large Water Walls. DreamCrete has also been trained by Select Surface Solutions of Central Florida that offers a variety of concrete building and remodeling materials for both commercial and residential projects. Starting in 2017 DreamCrete will be using Select Surface Solutions products alongside their wide selection of others to always offer the best quality to the client. DreamCrete has also been trained by Dan Lynch of Dan Lynch Flooring in the unique Concrete Texture Flooring. Verona Surfaces belongs to an internationally established European stone group that is well known for their finest selection of materials. Fourth generation of stone crafters. We are one of the leading companies in the stone business thanks to a constant research and development of new innovative products. USING THE MOST ADVANCED TECHNOLOGY WE COVER THE ENTIRE PROCESS, FROM MANUFACTURING, PROCESSING, CUTTING AND INSTALLING THE SURFACE, WE MAKE SURE THE FINAL RESULT IS UP TO THE HIGHEST REQUIREMENTS. Darlene Spezzi, Owner/CEO of Mystic Granite & Marble invites you to visit her 53,000 square foot, state-of-the-art facility which is home to one of the country's finest collections of stone countertops, flooring, backsplashes, custom mosaics and accessories. With a complete selection of granite, marble, travertine, onyx, semiprecious stones, glass and other unique materials, Mystic is the perfect place to begin any design project. Mystic has the right stone for any application and any budget. Visit today and Mystic Stone Specialists can assist you, rain or shine, in Mystic's clean, well-lit indoor slab selection areas and showroom. Since 2002, Kissimmee Granite has been fabricating and installing granite countertops and cabinets for customers who value quality, integrity and responsive service. Our warehouse features more than 50 in-stock granite, quartz, and marble to choose from as well as several semi-custom lines of cabinetry and accessories. 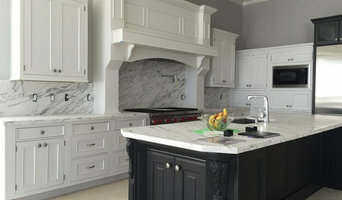 We offer semi-custom all wood cabinetry which provides the perfect blend of style, selection and affordability. With our cabinets you can enjoy a high quality product without the steep prices and extended lead time associated with custom cabinetry. Our knowledgeable staff will guide you through the selection process. From accurate field measurements, through expert fabrication and installation, we stand ready to assist with your project. We proudly offer complimentary in-home measurements, free design services, one week turnaround times, and complete rip-out and installation services. Granite, quartz, natural stone fabrication and installation shop located in Longwood, FL with over eight years experience in residential and commercial countertop projects. Affordable Granite Concepts provides the finest material, quality workmanship and dependable service for all your granite, cabinets, flooring, summer kitchen and bathroom needs. We are a well-established, full-service, licensed and insured Central Florida company. We work with our clients to understand their vision and deliver quality granite solutions that you deserve while working within your budget. If you are thinking of a kitchen remodeling project but are short on time, know that depending on the scope of your needs, Granite Transformations of Orlando, Florida can change the look of your kitchen countertops or cabinets in as little as one day! Even tough bathroom remodeling projects are no match for our streamlined remodeling process! We offer services in granite countertop installation, quartz countertop installation, mosaic tile installation, cabinet refacing, and more! We pride ourselves on excellent customer service and believe our product is so superior that we offer a limited lifetime warranty on all of our materials. If you are looking for a professional remodeling contractor for your next project, call us today to see how we can transform the look of your kitchen or bath! Many tile, stone and benchtop contractors in Orlando, FL work in tandem with plumbers in the bathroom. They can assist in a variety of common surfacing jobs, from installing shower pans to small grouting jobs. Furthermore, they can create and install murals, mosaics, and repair or replace any surfaces with chips, cracks or stains. Here are some related professionals and vendors to complement the work of tile, stone & benchtops: Interior Designers & Decorators, Architects, Building Project Managers, Kitchen & Bathroom Designers, Design & Construction Firms. Find Orlando, FL wall and floor tilers on Houzz. Look through Orlando, FL photos to find tile, stone and benchtop projects you like, then contact the contractor who worked on it. Browsing photos will also help you stay on top of the latest trends; subway tiles, for example, are trending in kitchen splashbacks, while stone and concrete benchtops are replacing tile or formica surfaces.